Dragon's promo-video for the hit single 'Rain' (July, 1983), taken from the 1983 album 'The Body & The Beat'. 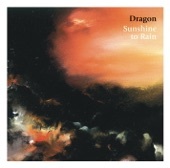 Note: After a four year hiatus (Marc Hunter's solo success and Todd Hunter's guitar duties in XL Capris), Dragon made a comeback with the hit single 'Rain' - penned by Todd Hunter and his wife Joanna Pigott (XL Capris singer). Other members of the new Dragon included Terry Chambers of UK band XTC on drums. Sadly, the band's main songwriter and keyboardist Paul Hewson was to die of a herion overdoes less than 18 months later. Note: Kerry Jacobson played drums on this track before quitting Dragon. XTC's Terry Chambers replaced Jacobson around the time this clip was shot. Chambers is playing drums in the video to a track that was originally recorded by Jacobson - just to clear mattes up.